Sleepless PDS and Rudies Hi Hi are the heads of Reggae Revive which features classic Jamaican rocksteady, skinhead reggae, and sprinklings of blue beat ska. 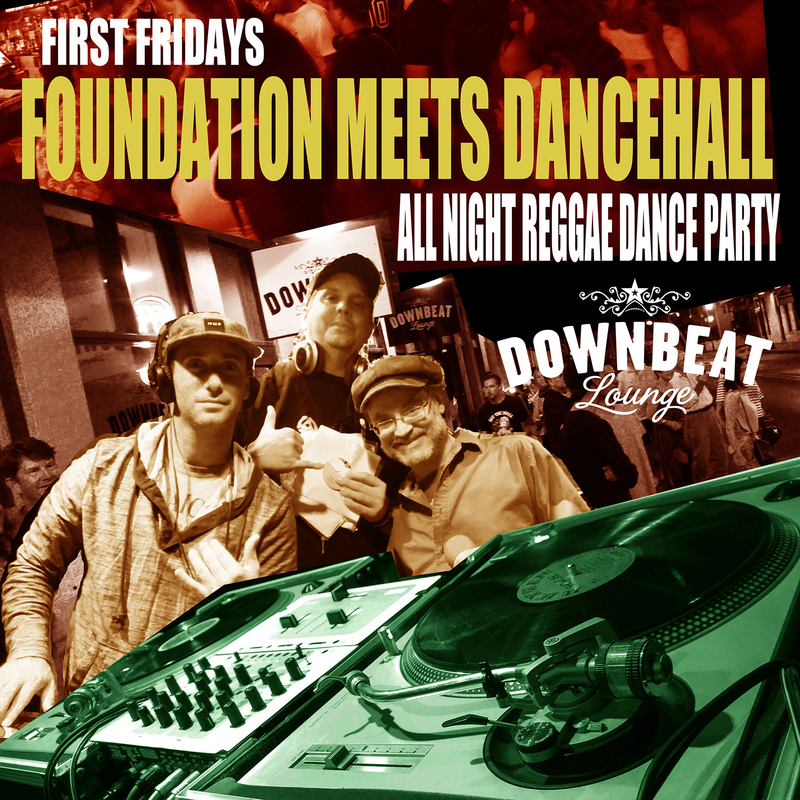 Spinning strictly vinyl all night long, Pressure Down Sounds and Rudies hi-fi will select songs to bless your ears and ring in the era of the Jamaican sound system days. Reggae Revive is a free show that will repeat the fourth Saturday of each month, for a monthly intake of rare old-school reggae discovery. 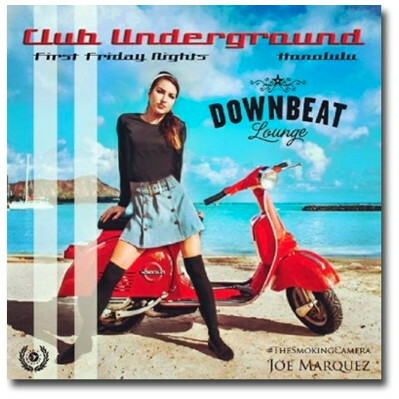 The Downbeat Diner & Lounge is located at 42 North Hotel Street Next to Manifest & across from 39 Hotel. Serving quality classic diner favorites; burgers, house made vegan burgers, fries, milkshakes, sandwiches, nonstop breakfast, and desserts with vegetarian and vegan options for every menu item. 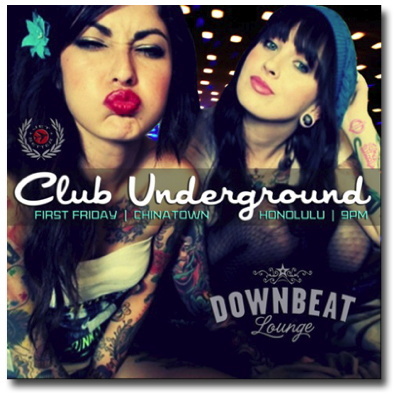 Downbeat is open 11am-3am M-TR and 11am- 4am on the weekends. Downbeat Diner is inspired by classic American diners and serves up many familiar dishes like burgers, sandwiches, milkshakes, and fries, but also focuses on healthy vegetarian and vegan options as well. Along with this, Downbeat only uses grass fed Hawaii free range beef for their hamburgers, and as much local produce as possible. Downbeat believes that good comfort food should come from good sources and should be enjoyed by omnivores and vegetarians alike. "Was there on opening night... What a great place. Had the loco moco and was so full that I had to take dessert to go (Otto Cake). Simply delicious. The staff was great. Instantly became my favorite diner." "Even as we walked into Downbeat, the modern diner decor and cozy feel was enough to have me praying to the gods that the food and service would be up to snuff enough for me to make this a regular stop on my Chinatown circuit. We sat at the bar and our very friendly bartender - Serena - gave us menus and gave us the breakdown about their alcohol policy." 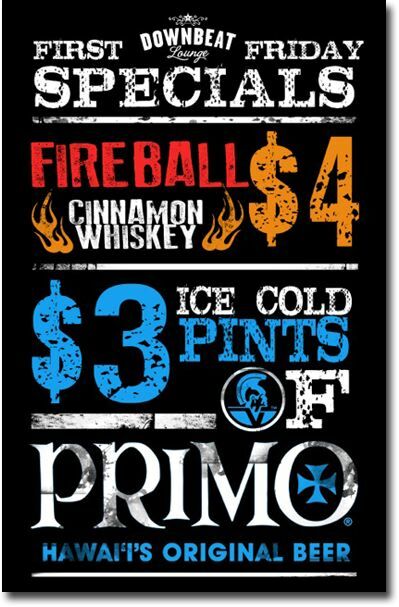 Monday through Thursday 11am-3am and Friday and Saturday 11am-4am.